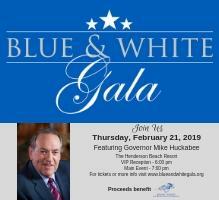 Subject: Annual Dinner Registration Info, Event Photos & More! 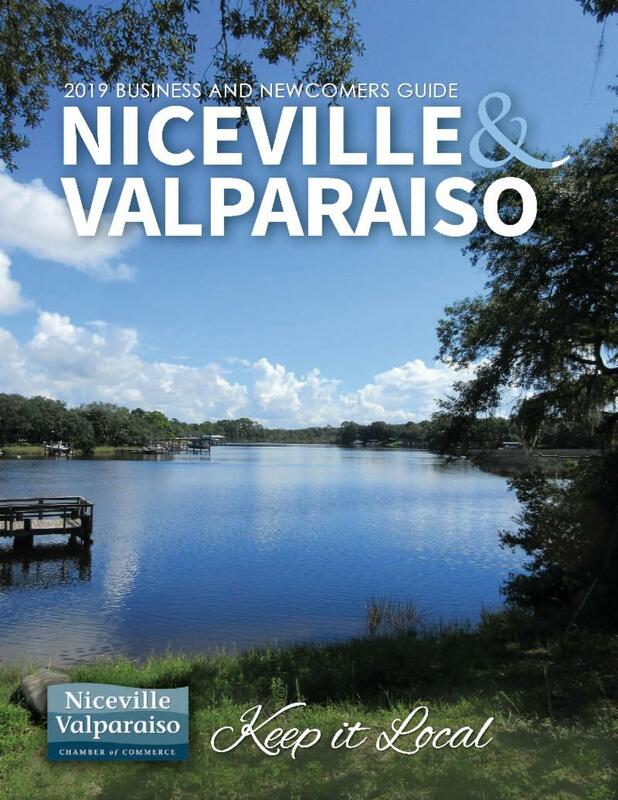 Your Weekly Update from the Niceville Valparaiso Chamber! Don't miss the annual passing of the gavel and induction of the 2019 Board of Directors at Broadway on the Bayou on February 7th. Get your tickets now for this unique opportunity to dine on the Mattie Kelly Arts Center Stage! Annual Business and Volunteer award winners will also be announced so come out and cheer on your fellow members as we recognize their efforts in making our community and Chamber great! 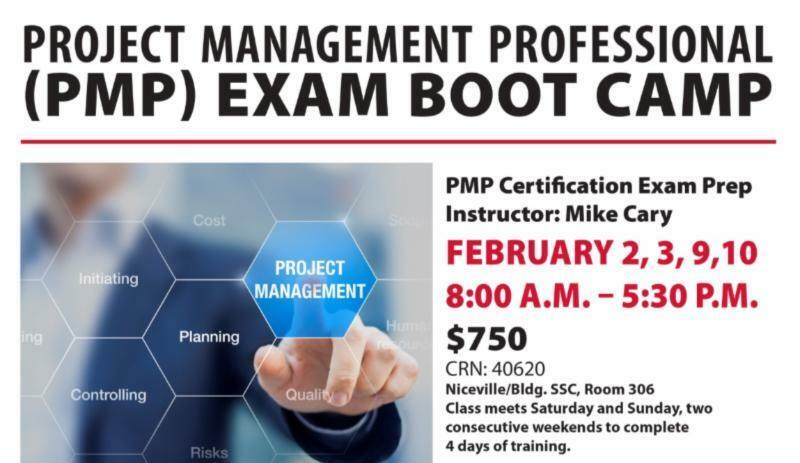 Click here to register online or call 850.678.2323. 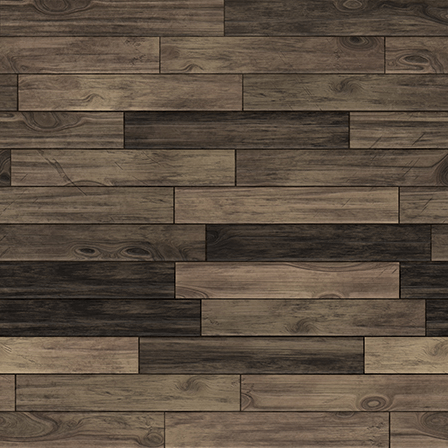 Click here for event flyer. Special thanks to Tammy's Journeys for sponsoring the first Let’s Do Lunch of 2019! Members and guests enjoyed fantastic food from Tisano’s Garlic Grill, a Travel Bingo networking game and great door prizes. Sponsor Tammy McDonald addressed the crowd regarding the benefits of having a professional Travel Advisor. Thank you to everyone who attended this fun and effective networking event. #creditthechamber #keepitlocal. Click here for more Let's Do Lunch photos. ﻿your customers and those who are new to our area or could benefit from this comprehensive and informative guide! 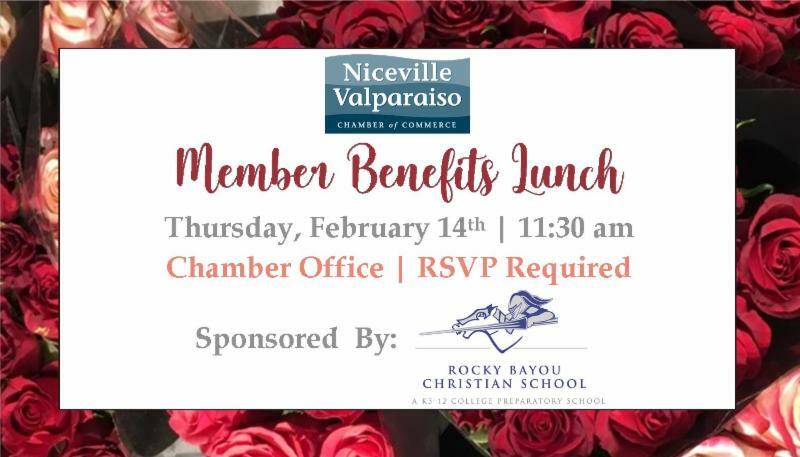 New members and representatives are encouraged to attend the quarterly Member Benefits Lunch sponsored by Rocky Bayou Christian School on February 14th. 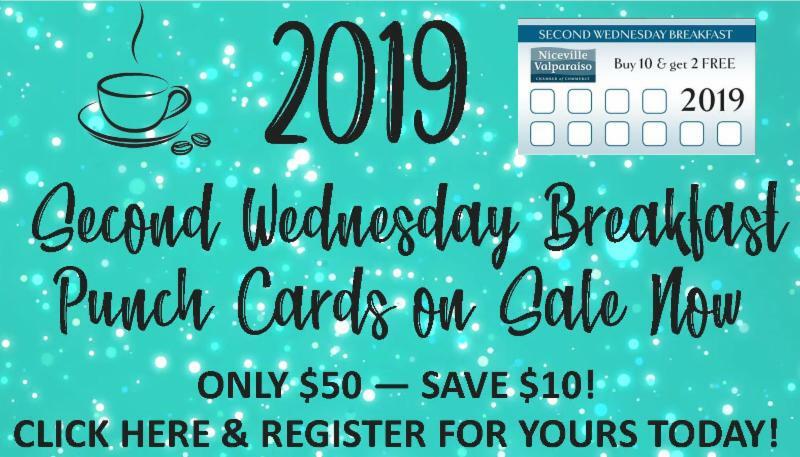 Join us for a complimentary lunch and a complete overview of the programs, services and opportunities available to you through your Chamber membership! Advance registration is required. Click here to register online or call 850.678.2323. Chamber Chairman, Mike Guidry, Reliance Test & Technology, LLC has been busy visiting Chamber members and he wants you to have a chance to win a $25 gift card to Cafe Bienville! 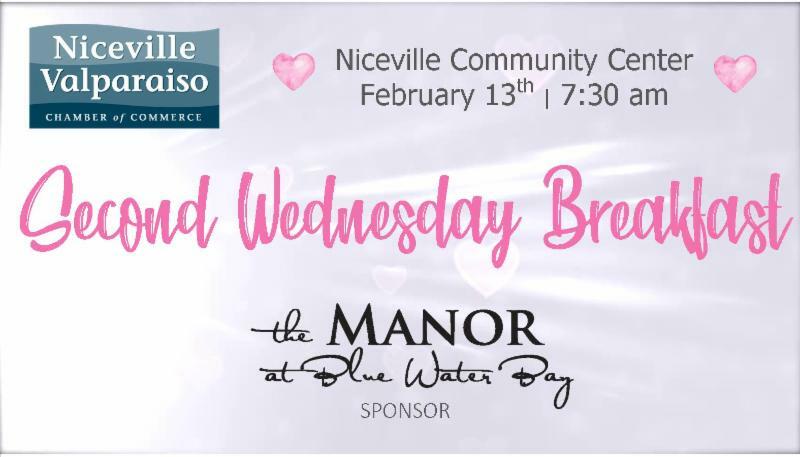 To be included in the drawing at the February Breakfast, simply like the Niceville Valparaiso Chamber of Commerce Facebook Page and comment which local businesses you think he is visiting in the photos. Click here to like and follow the Chamber Facebook Page.